According to the requirements UEFA, the residential centers for teams are supposed to be ready in a year already, but actually will not be. – We will ask for more time – announces Olkowicz Adam, vice-president of the Polish Football Association. Up to 44 Polish towns would like to host 16 final groups of the European Championships, but for the time being any center meets UEFA requirements. Representations have to have available at least a four-star hotel with 60 rooms, football field for thousand of spectators and three training places. The centers are to be located no more than an hour from the airport. UEFA requires facilities to be ready in the second half of 2010. We will inform UEFA if we do not have time for the preparation of the centers until half of the next year. In addition, we believe that there is no need to have at least two years before the championships. We will convince our partners from UEFA to move the deadline slightly – said on Tuesday in Wroclaw Adam Olkowicz, vice-president of Polish Football Association. He also added: – I believe that there is not a great threat to the organization of the Euro. PZPN will recommend to UEFA about 30 centers. They are in a special folder, which will be sent to all the European federations. In November or December 2011, the representatives of individual representations will choose centers for them, where their team will stay during the Euro. The vice-president Olkowicz announced that at the end of July the UEFA president Michael Platini will visit Poznan, Wroclaw and Gdansk for the first time. 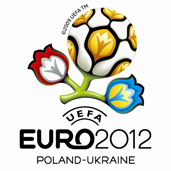 These are the cities which, apart from Warsaw, will organize Euro 2012 in Poland. Platini was in Warsaw in April this year and saw the construction of National Stadium. The new stadium should be really nice!! !